What is strangling these galaxies to death? 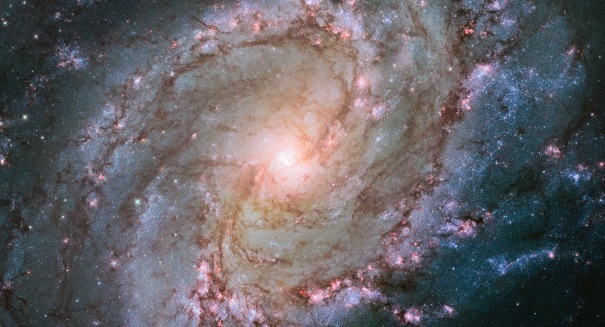 A study published at the University of Cambridge examines how and why galaxies are strangled to death. How is a galaxy strangled? Astronomers at the University of Cambridge wanted to see what happened when a distant galaxy stopped forming stars, so they looked at the chemical composition of hundreds of galaxies through a telescope. The clues they found are straight out of a murder mystery, except this one is on a galactic scale. Dr. Yingjie Peng noticed that the levels of various metals present in distant galaxies more or less told the story of their death. A galaxy is considered “dead” when it ceases forming new stars. Dead galaxies were found to have significantly higher metal contents than galaxies of similar mass that were still forming stars. The theory behind galactic strangulation and metal buildup is not unlike what happens when a person gets strangled, according to French astronomer Andrea Cattaneo, from the Observatoire de Paris. The buildup of metals in dying galaxies was analogous to the buildup of carbon dioxide in a strangled person. When the source of gas is cut off, a galaxy will continue using the available gas to make starts until it is completely used up. The gradual buildup of metals in these galaxies are a result of their stars running through every last bit of energy they can get their hands on. According to Dr. Peng, the most likely cause of galactic strangulation is overcrowding. When there are too many stars in the same cluster, they compete for star-forming gas and eventually wind up strangling the whole galaxy. While its clear what the cause of death is for these galaxies, the verdict is still out on what, or whom, is responsible.